You’re at the top of your game. No one can pass this test on the first try and you aced it! Your perception skills are exceptional, and you're undoubtedly cultured and well-read. Your score indicates an IQ range of 153-165. Keep it up, and share the news with the world! 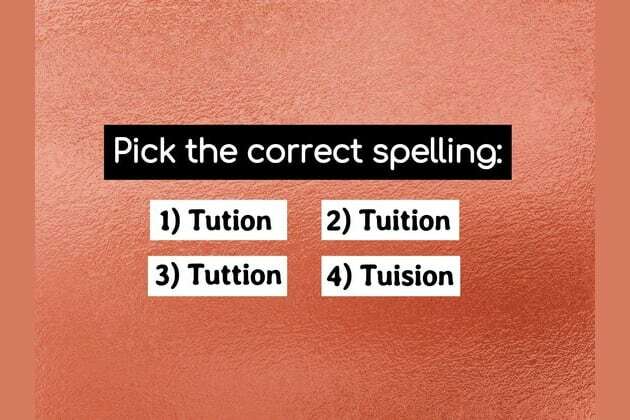 We gave this spelling test to 100 American adults and NO ONE passed it on the first try. Give it the old college try!! Maybe you'll be the one who beats the odds.